City officials knew Typhoon Haiyan was a severe storm, but many vulnerable Filipinos underestimated its impending devastation. In the first week of November 2013, the Philippines sat directly in the path of one of the most brutal typhoons ever to hit the archipelago. City officials knew Typhoon Haiyan was a severe storm, but many vulnerable Filipinos underestimated its impending devastation. One such family was Juan and Amalia Bayot and their daughter, Joy, who live on Iloilo Island. Farmers by profession, they weather some 20 storms every year, and they didn’t think Haiyan would be any different. Doing what they could to protect their property, they hunkered down to wait out the typhoon. 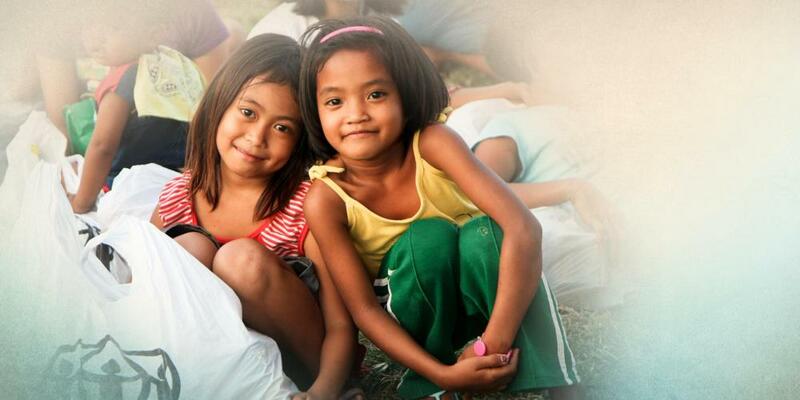 But hours before Haiyan finally hit, they heard a loud banging on their door. Outside stood a city official. As the morning of November 8 dawned on the Philippines, Haiyan had already begun its massive devastation. Storm surge and rain flooded streets and homes, and cars were blown away by the wind. More than 4 million people were displaced, and 1.1 million had damaged or destroyed homes. Dead bodies lined the streets of major cities. Meanwhile, workers and volunteers at the Adventist Development and Relief Agency (ADRA) International office in Maryland, U.S.A., were sending and receiving a flurry of email updates on the status of the cyclone. The United States military’s Joint Typhoon Warning Center in Hawaii recorded that the typhoon had sustained winds of 194 miles per hour and gusts of 236 miles per hour, equivalent to a category 5 hurricane. Forecasters also reported a storm surge of about 23 feet. Among those responding was Denison Grellmann, former senior program manager at ADRA International and the new ADRA Philippines country director.Assigned to help the ADRA Philippines team, he prepared for the 30-hour trip to Manila. Denison and ADRA workers coordinated with local government, United Nations organizations, and donors to begin distributing food and water purification kits to families, including Juan, Amalia, and Joy. “The food we’re receiving really helps us,” said Amalia. The Adventist Development and Relief Agency (ADRA) is the global humanitarian organization of the Seventh-day Adventist Church. ADRA represents the unconditional love of Jesus through a broad spectrum of development and emergency relief programs in more than 120 countries around the world. Your mission offerings help support ADRA. To learn more, please visit www.adra.org. Natalia Lopez-Thismon is a communications specialist at ADRA international in Silver Spring, Maryland.